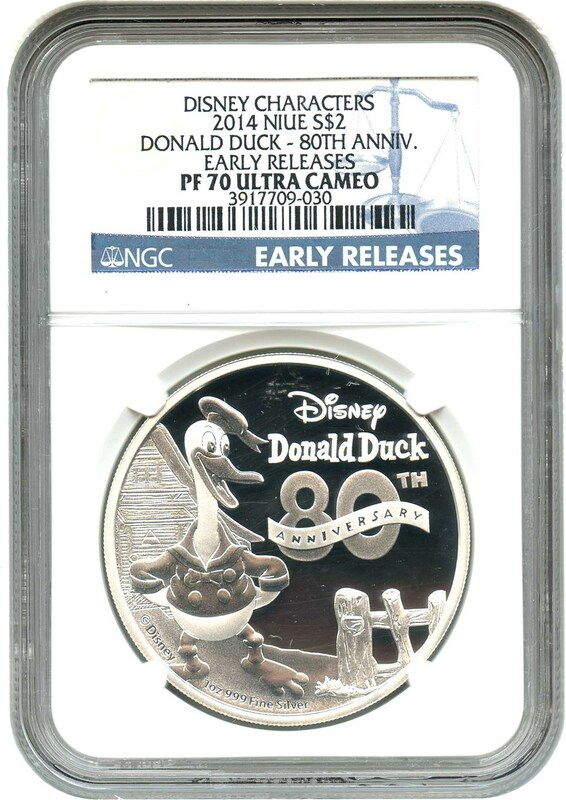 2014 Niue Donald Duck 80th Anniversary Limited Edition Silver 1 Ounce (oz) Proof (PF) graded by NGC with the Original Government Packaging (OGP) One of the most beloved Disney characters, Donald was created in 1934 at Walt Disney productions. 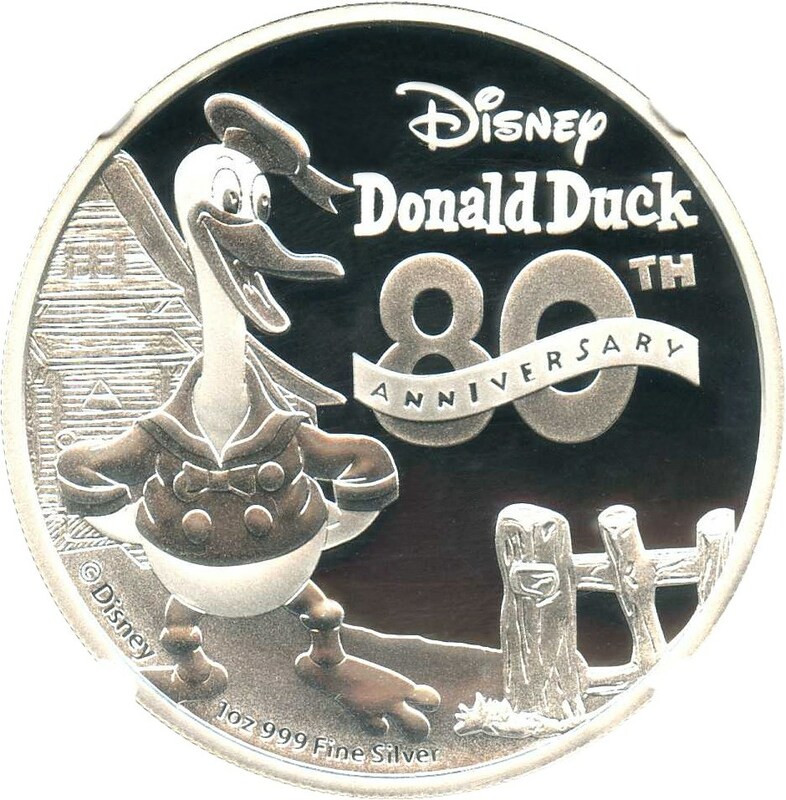 He has appeared in more films than any other Disney character with approximately 178 to his credit. He is also the fifth most published comic book character in the world. 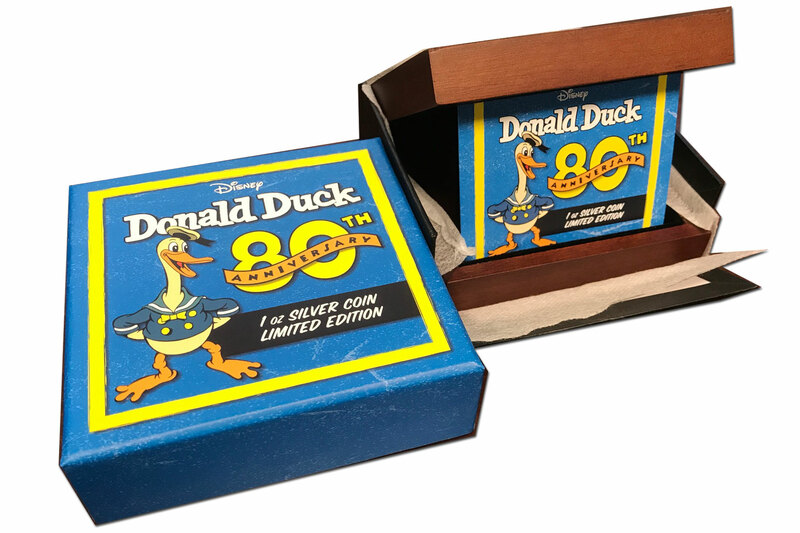 Performed by Clarence Nash for 50 years, Donald is famous for his mischievous personality and semi-intelligible speech. 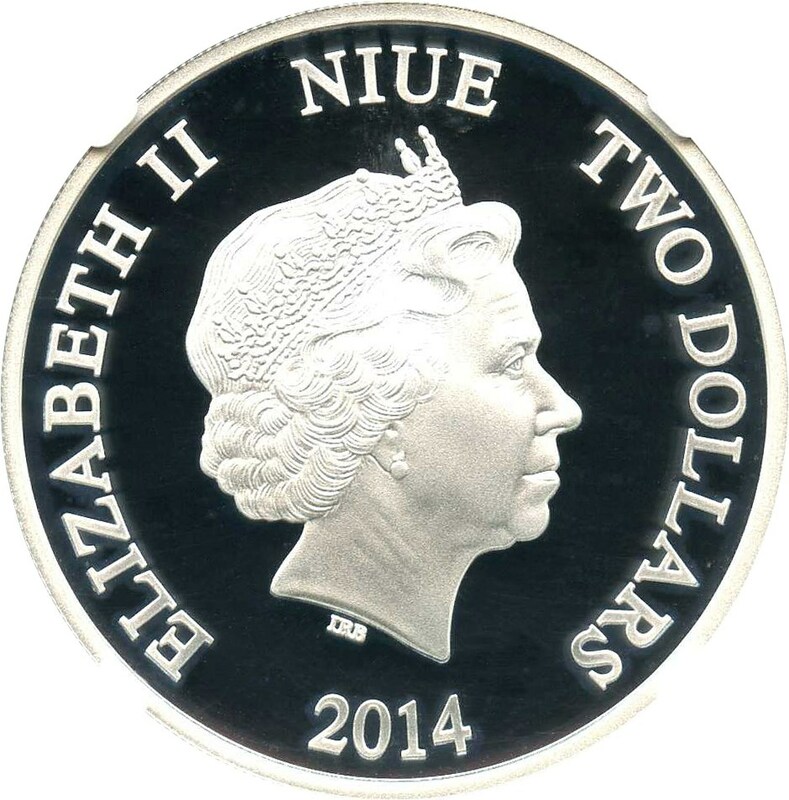 The obverse of this special edition coin of just 10,000 pieces, features Her Majesty Queen Elizabeth II, while the reverse features Donald's appearance from his film debut in The Wise Little Hen from 1934. 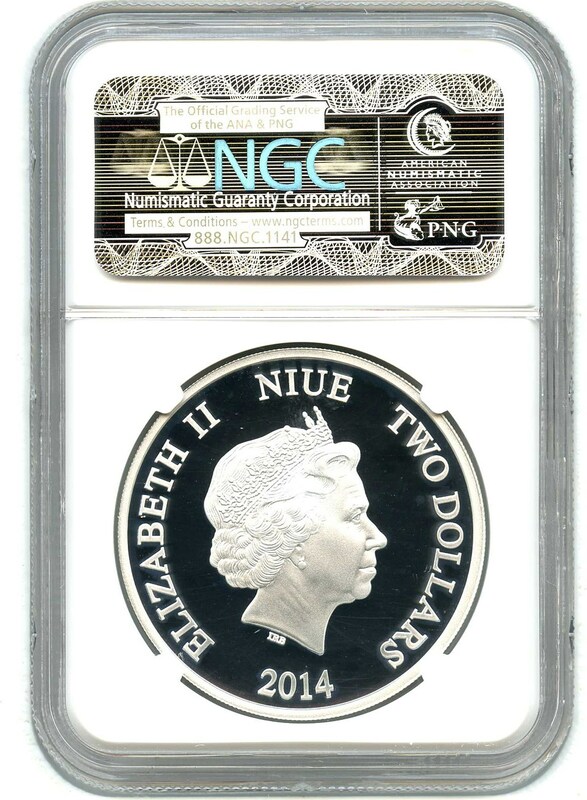 Created jointly by the Perth Mint of Australia and the Niue mint of New Zealand to commemorate Donald's 80th Anniversary, this piece is sure to please the coin collector or any Disney enthusiast!